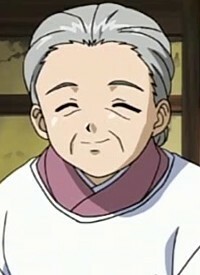 Musashi's grandmother was not badly astonished when her grandson after 15 years suddenly turns up at her, without which he would have been previously announced. All this reduces the joy of the elderly lady but not a bit, and it's called Musashi course immediately in their house, in which he once raised, welcome. However, it does not miss even with what inappropriate behavior he greets his old childhood friend Anzu and advises him as quickly as possible, apologize to the girl for it. For good behavior and decency never hurt anyone and is very important in their house.